Glass cases offer the same humid environment as a bottle garden. However, the Wardian case is much more stylish. Made of leaded glass, these miniature greenhouses look like tiny conservatories. Terrariums are a hot trend, giving us more options for growing indoors than ever before. You'll find these terrarium cases available in many different sizes, shapes and styles. Display one on a tabletop, or use one with a built-in stand. Whichever you choose, it's a good idea to avoid those with stained or tinted glass. A terrarium made with clear glass or plastic will not only show off your plants better, it'll help them receive the light plants need for photosynthesis. Place your plant-filled Wardian near a window. Most tropical plants thrive with bright light, but keep them out of direct sunlight. Your tender tropicals can't take the heat. Temperatures can soar under glass, "cooking" plants within a short time. And it's a good idea to check the soil for water a couple times a month. 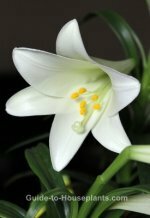 Although enclosed cases hold in moisture, you don't want your houseplants to go thirsty. The Archway Glass Terrarium (shown at left) makes a stunning addition to any room. Showcase your favorite tropical plants by arranging them in this traditional-style case. If you don't want to plant directly in the case, set your pots inside and give your plants the same benefits of added humidity and protection from drafts. Once nestled inside, your collection of plants will thrive with little care. Cases that are completely closed can sometimes go for months without watering. All the water given off by the plants through transpiration runs back into the soil, keeping it and the air constantly moist. The H Potter Wardian Case Terrarium (shown at right) was inspired by English conservatories. Made to add stylish charm to any spot in your home, it protects plants from drafts and dry air caused by heating and AC vents. Tabletop terrariums add beautiful flair to your plants...and any room where you decide to display it. Taller than most, this Wardian Case allow lots of space for a parlor palm -- or any other plant that needs headroom. With a small Wardian case, it's a good idea to choose 1 tall plant as a backdrop, then fill in the space around them with 2 or 3 smaller plants. Don't be afraid to combine different colors or textures -- that only adds interest to the arrangement. While it's tempting to pack a terrarium-type case with every plant that catches your eye, take care not to overcrowd plants. You want to show off each beautiful plant, don't you? Besides that, you'll give them room to grow. Traditional style makes the enchanting Table Top Wardian Display Case (shown at right) a plant showcase you'll cherish for a lifetime. Place several small plants together, with a variety of leaf textures, for a dynamic display. 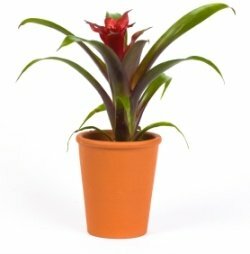 You can buy tropical plants at garden centers or floral shops. Want to grow something out of the ordinary? Check out online nurseries for suitable small species, as well as unusual plants.